I never seen so many Orangutans within 2 weeks. It was not intentional, but I happened to visit baby Orangutan in Bukit Merah’s Orangutan Island, and then the zen orangutan who was a Yogi Master in Taiping Zoo. Things gotten wilder this week. I ended seeing semi-wild Orangutan in Borneo. 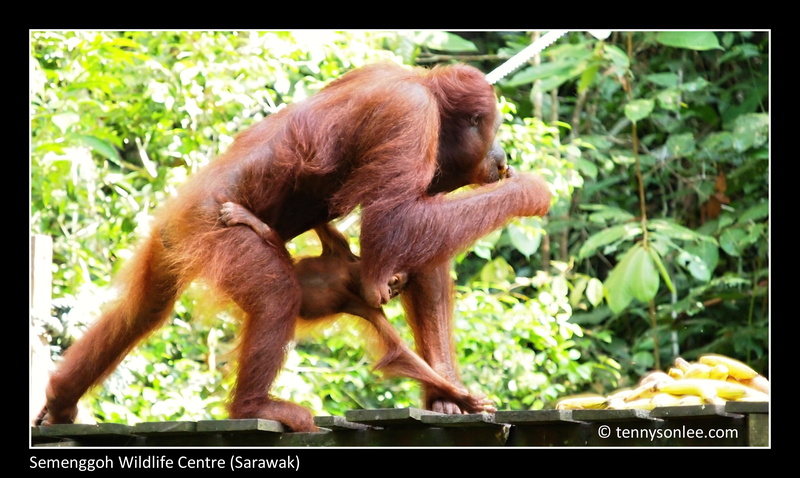 Semenggoh Wildlife Centre is 20km from Kuching town, Sarawak. 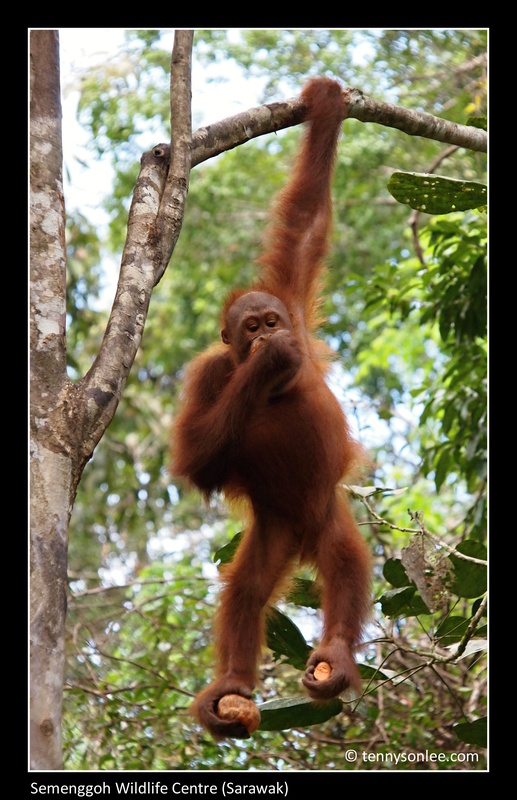 Visitors can witness the feeding of Orangutans in nature reserve. The daily feeding time is on 9am and 3pm at the rehabilitation centre. It was amazing to see how many fruits one Orangutan can carry with its limbs and mouth. 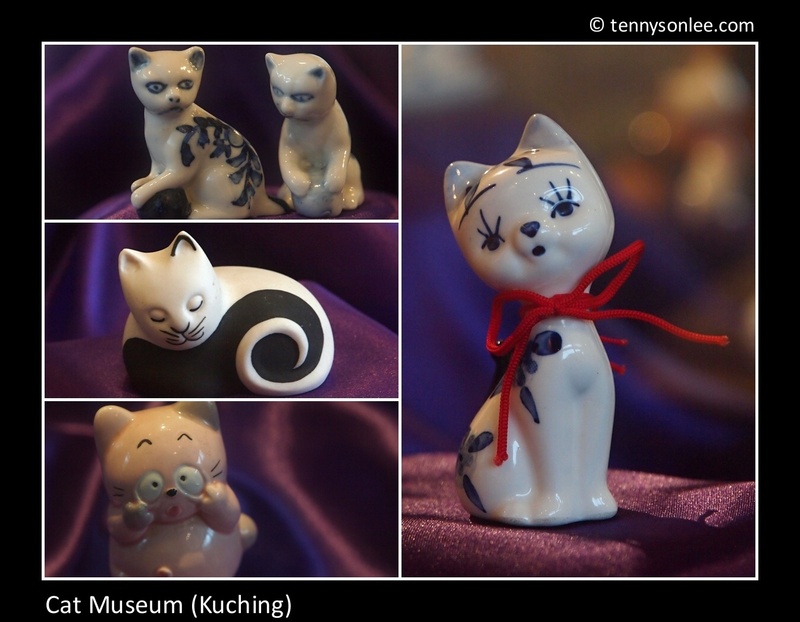 The cat museum in Kuching Sarawak is one of its kind in the region. Kuching means ‘cat’ in Malay language, so the city council maximize the city branding with strong link to the cat theme. Kuching was a riverine city, and the waterfront is the best place to experience its beauty. One can find Chinatown in all major cities around the world. In Malaysian cities, we have Little India besides Chinatown in major cities. The Little India in Kuching, Sarawak is adjacent to the main bazaar on waterfront, along Jalan India. 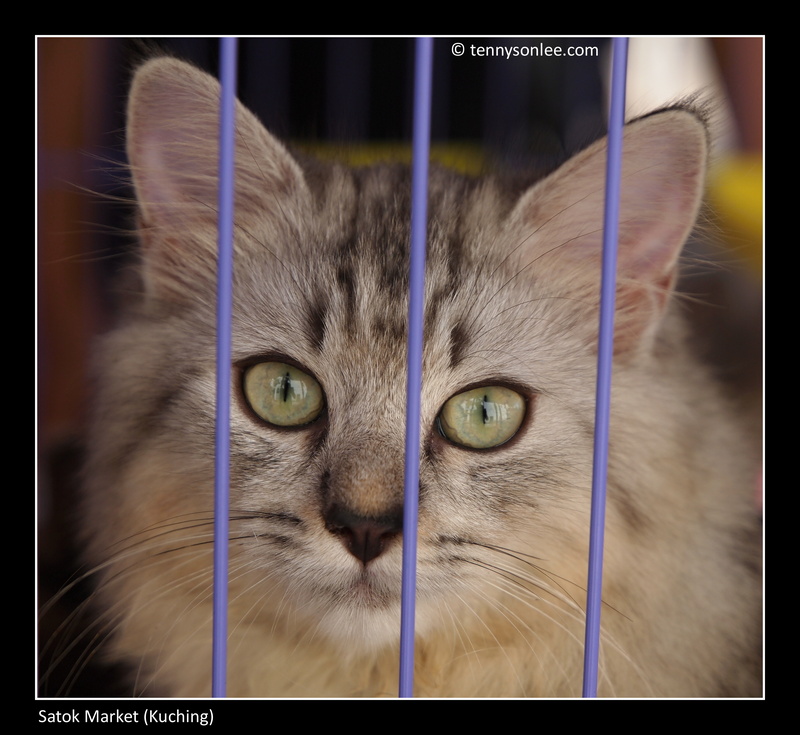 if you see dogs or cats locked inside cages in Asian market, they are either meant for food or as pet. 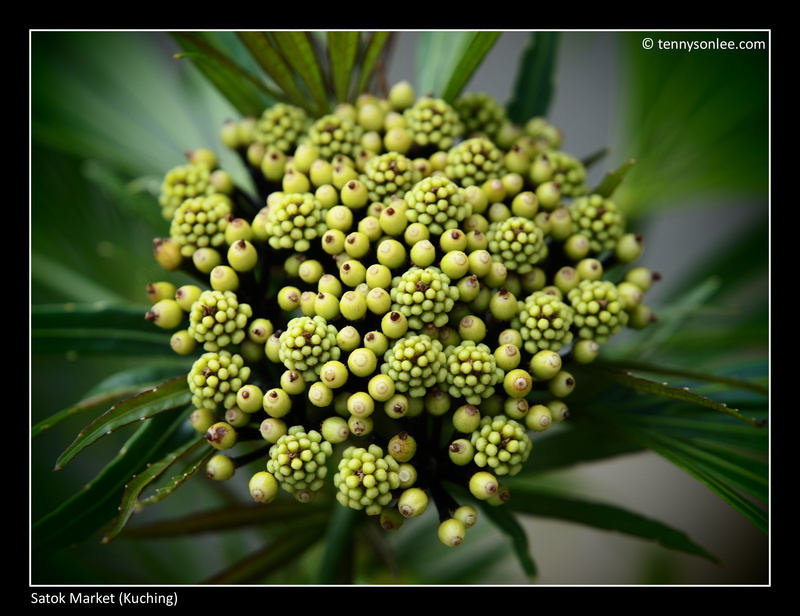 This post was dedicated to the flower market (more correctly should be the flower section) in Satok Market (Kuching, Sarawak). 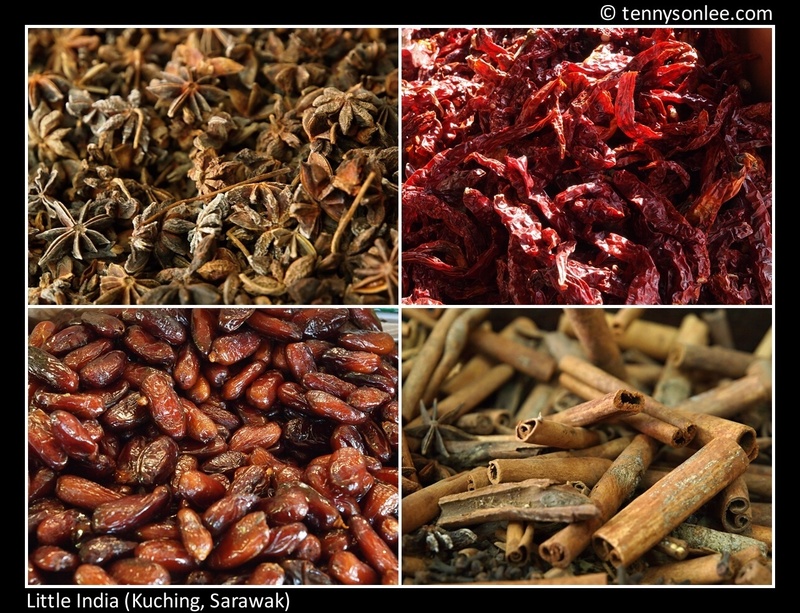 When it comes to fruits, Satok Market at Kuching has lots of offer. There are lots of forest produce brought to the market by the villages. 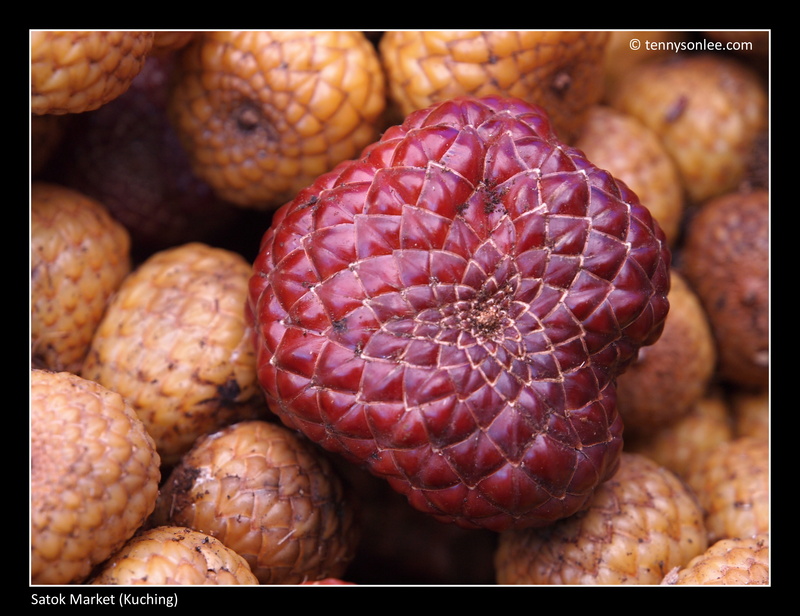 The fruit below has many names: Asam Paya’, Asam Kelubi or Salak Hutan or Zalacca Conferia (scientific name). The juice can be used an alternative to lime (limau kasturi) to make sambal belacan.